Law, Justice and Parliamentary Affairs Minister Anisul Huq on Tuesday said the government is working sincerely to speed up the process to resolve the land disputes in Chittagong Hill Tracts (CHT) region. "The government is sincere enough to speed up the process to resolve the land dispute in CHT region. Nine amendments have been made to the CHT Land Dispute Resolution Commission Act to this end," he told a seminar at BIISS auditorium in Dhaka. Bangladesh Institute of International and Strategic Studies (BIISS) Director General Major General AKM Abdur Rahman chaired the function while Supernumerary Professor of Dhaka University History Department Dr Syed Anwar Husain, Major General Md Jahangir Kabir Talukder and CHT Affairs Ministry Additional Secretary Md Kamal Uddin Talukder, among others, addressed the seminar. 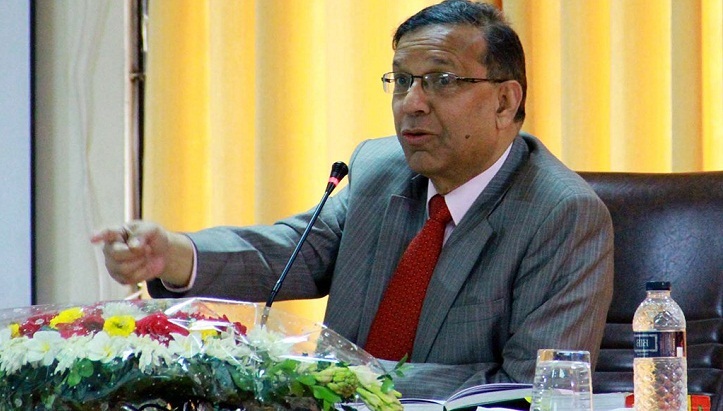 Huq said the government has given permission to set up two regional offices of Land Dispute Resolution Commission in Rangamati and Bandarban to ease its activities. The minister said it will not be a prudent decision to keep the problems unresolved till the formulation of the rules in this regard.